The Durban University of Technology’s (DUT’s) Information Technology (IT) student, Gomolemo Mohapi attended the Microsoft Student Partners (MSP) Europe, Middle East, and Africa (EMEA) Regional Summit held last month (March 2019) in Amsterdam, Netherlands. Mohapi who is the only South African student that is part of the prestigious Microsoft Student Partner programme – was selected as part of only 20 MSPs to attend this Summit. Mohapi said upon their arrival in Amsterdam, they were paired with MSPs from other countries, which gave them an opportunity to exchange ideas and learn from different cultural and professional backgrounds. He said the Summit commenced with a visit to the Microsoft’s office in Netherlands, where they received addresses from various speakers around entrepreneurship. “We learnt valuable skills on how to craft the perfect business pitch, implementing the perfect business plans, public speaking, and building an innovative tech start up,” Mohapi said. The Summit featured Tech Talk from Lee Stott, a Microsoft Senior Program Manager in Data Science within the Academic Ecosystem in Cloud and AI Engineering, he spoke about some of the latest tools and technologies that Microsoft will be offering. “He held a comprehensive demo and explained how every product had been developed and produced. This was my favourite part because we got the inside information on some of the most sought – after skills needed for the tech industry. MSPs also got the chance to participate in a hackathon (coding competition). My partner and I built a small mobile application that leverages the power of Azure’s Custom Vision and Computer Vision API to retrieve the make, model and year information just from a picture of the car,” explained Mohapi. As part of the Summit, Mohapi also attended Microsoft Imagine Cup, which is a student developer global competition that empowers the next generation of technology students to team up and use their creativity, passion and knowledge of technology to create applications that shape how we live, work and play. 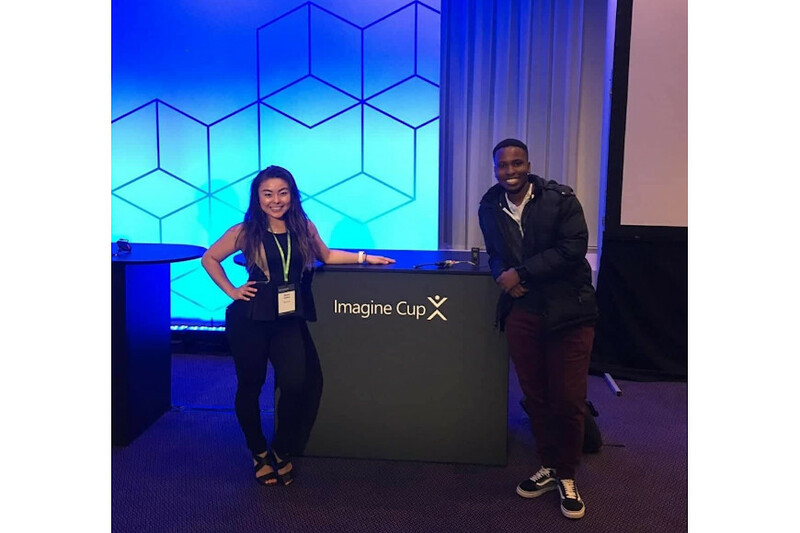 “The MSP EMEA Regional Summit coincided with the Imagine Cup EMEA Regional Finals and we had the privilege of meeting the 12 teams that were competing in addition to having front row seats at the Regional Final event that took place at the RAI Amsterdam Exhibition and Convention Centre. It was a treat to witness the mind blowing projects that were presented at the competition and it was an honour to witness the crowning of the winning team, Finderr, who in addition to winning $15 000, they will move on to be finalists in the Imagine Cup World Championship, for a chance to win the Imagine Cup and $100 000, which will take place in Seattle this May. I was in awe of the calibre of projects that were presented. This only motivated me to work harder upon my return to South Africa,” he said. Mohapi has also been invited as a special guest and speaker at the Microsoft Build 2019 (a developer conference), which is taking place from 02 to 09 May 2019 in Seattle. He applauded the contribution and impact of this Summit to his development. “All in all, the experience was incredible. I had the opportunity to meet some of the worlds most talented student developers and to learn from them. Engaging and learning from Microsoft’s top experts was such a privilege to have and I don’t take it for granted. This trip has helped me develop the foundational skills that I will need to move forward professionally,” he said excitedly. Pictured: Maasa Walker, a Windows Developer Marketing Manager with Gomolemo Mohapi.